Choosing a wedding venue will be one of the biggest decisions a couple will make in the lead up to their big day. 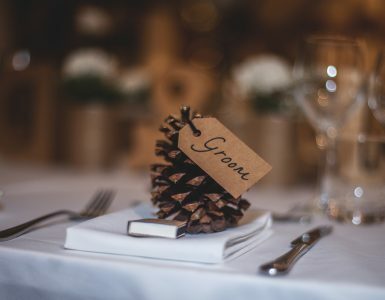 Embarking on the venue search followed by multiple viewings can be very stressful but not only that, the venue will no doubt take up a large part, if not the largest part, of the wedding budget. To make it easy, we’ve done some of the heavy lifting and put together our top picks of wedding venues by type for couples looking to tie the knot in glorious Sydney. Be warned though, venues get snapped up pretty quickly, often months, sometimes, years in advance so get your wedding game on pronto! 1. The Beach. If there is one place in the world where there are a plethora of beautiful beaches to choose from then it’s Sydney, most famous for Bondi, situated on it the Eastern suburbs, and Palm beach, where the soap Home & Away is filmed. A great beachside venue that many couples choose to say ‘I do’ is at the Watsons Bay Boutique Hotel. It the perfect place for a picturesque seaside wedding ceremony and reception. 2. The Winery. For those who are partial to a glass of wine or two, perhaps a winery as a wedding destination would be more up your street. Margan is an award winning winery situated in Hunter Valley, approx a two hour drive from the city. It’s restaurant serves up seasonal dishes that are made from ingredients harvested from the grounds. 3. The Water-Views. For those who want breath-taking water-views across the city then look no further than the Taronga Centre to host your big day. With sweeping views of Sydney Harbour, the iconic Opera House and the grand Harbour Bridge, it’s a wedding destination guaranteed to make a lasting impression. 4. The Church. For those who are traditionalists at heart, a church wedding might be your desired venue of choice. St Peter’s, an English-style, Anglican church, in Watsons Bay is the perfect place to host an intimate ceremony. 5. The Hotel. Many couples will opt for the convenience of a hotel when it comes to their wedding as guests can party on into the night knowing that they don’t have to venture far to get into bed. The Castlereagh Boutique Hotel is a great choice for couples who also want a bit of history to their venue as it is heritage listed with beautifully restored 1920’s architecture. 6. The Garden. Couples who prefer the outdoors might opt to get married in a beautiful garden and there’s no garden more famous than Sydney’s Royal Botanic Garden. Set against a backdrop of the city’s iconic skyline, the park has twelve breathtaking locations to choose from, including the Bennelong Lawn overlooking the Opera House, so couples are spoilt for choice. 7. The Golf-Course. Another outdoor alternative for couples is a golf course, of which many will have beautifully manicured gardens and lawns on the premises. The Concord Golf Club is a heritage listed venue and only a short drive from the city centre. 8. The Restaurant. Some couples prefer a restaurant setting as their wedding venue of choice because the catering is taken care of immediately. Situated on top of Cockle Bay Wharf, L’Aqua serves up innovative Australian dishes and a diverse selection of fine wines, but also has impressive floor to ceiling windows that showcase uninterrupted views across Darling Harbour. It’s a win-win. In an ideal world, everything will go plain-sailing but even loved-up couples aren’t that naive. Make sure you consider taking out wedding insurance to cover any deposits paid, and the rescheduling of your wedding, if necessary, should your chosen venue fall through at short notice. Whilst there is a small chance that this should happen, there still is a chance so are you willing to take such a risk?